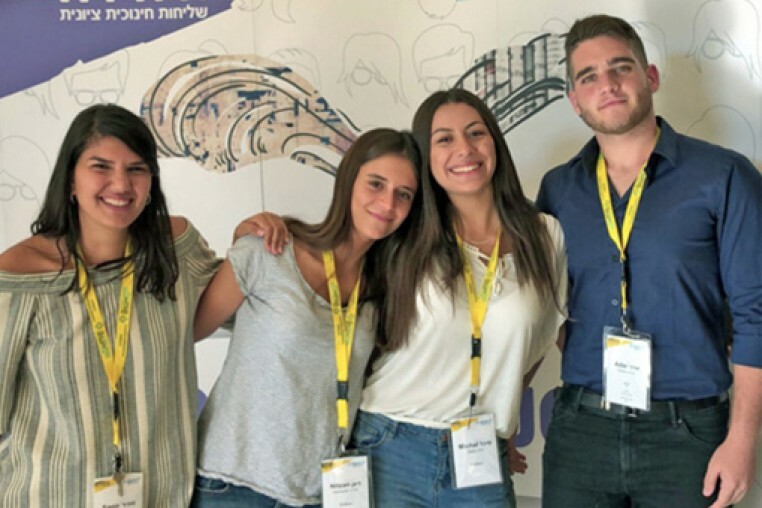 The Shinshinim Young Ambassadors Program is a partnership between CJP’s Boston-Haifa Connection and the Jewish Agency for Israel. Learn more about the program and the 2018-2019 Shinshinim that are living in Greater Boston and the North Shore! The Shinshinim Young Ambassadors Program brings recent high school graduates from Israel to our communities across Greater Boston and the North Shore. Young, fun, engaging representatives of Israel, the Shinshinim are here to bring Israel into our lives through programs, activities, and lectures to people of all ages — anyone from preschoolers, to Hebrew School and day school students, to adults, and to the elderly. We get a glimpse into what it means to grow up in Israel by learning about youth movements, current events, Israeli music, Hebrew slang, shared society in Haifa, how the Shinshinim’s friends and families celebrate the holidays, and much more. Please welcome Adar, Michal, Nitzan, and Sapir, our Shinshinim representatives from Haifa, Israel and beyond! This year they will be volunteering, learning, and teaching with our partner schools and synagogues. Adar and Nitzan will be in the western suburbs of Boston and Michal and Sapir will be on the North Shore. Michal and Nitzan are graduates of the Alliance School and Leo Baeck in Haifa. Adar comes from Nahariya, and Sapir from Beit She’an. These four Shinshinim represent the diversity of Israeli society through their backgrounds and interests, also representing a deep love for their country and its people. Learn more about the Shinshinim: watch their video! For additional information, please contact Sara at sarae@cjp.org or call 617.457.8591.